Williamsburg Christian Academy's Development Office serves to meet the school’s fundraising goals, which include retiring the building mortgage, providing greater scholarship opportunities, offering professional support for our faculty, and supporting a variety of top-notch offerings in academics, athletics, arts, technology, and spiritual development. Our operations cannot be sustained by tuition alone, as we strive to make Christian education as affordable as possible for our families. Therefore, we rely upon the generosity of our constituents to provide the resources necessary to enhance our students' educational experiences. No gift is too small or too large, and you can designate your donation to an area that is meaningful to you. 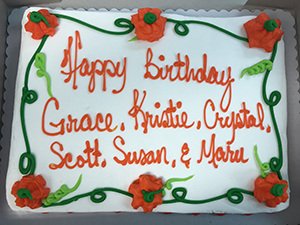 We are deeply grateful for your support. This is a simple and convenient way to make a donation. WCA accepts credit card gifts through Visa, MasterCard, Discover and American Express online through our secure website. Click here to give online. 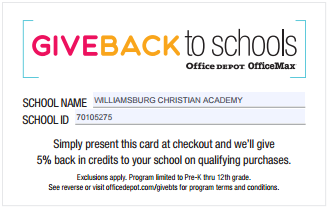 Send a donation by check or credit card to the attention of Development at Williamsburg Christian Academy, 101 Schoolhouse Lane, Williamsburg, VA 23188. 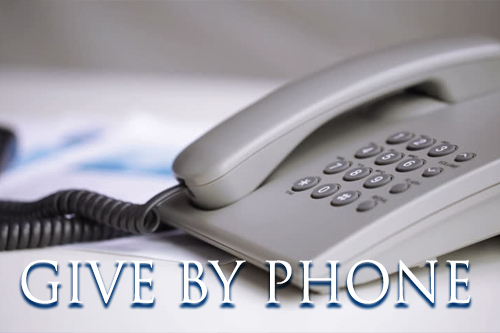 Call WCA's Development Office at (757)-378-5265 to make a credit card gift or to discuss options for giving. 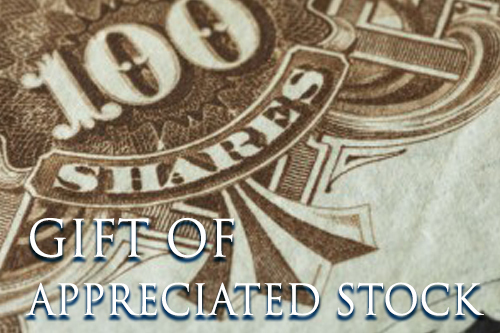 Donating appreciated stock holdings can offer substantial tax benefits not available in gifts of cash. 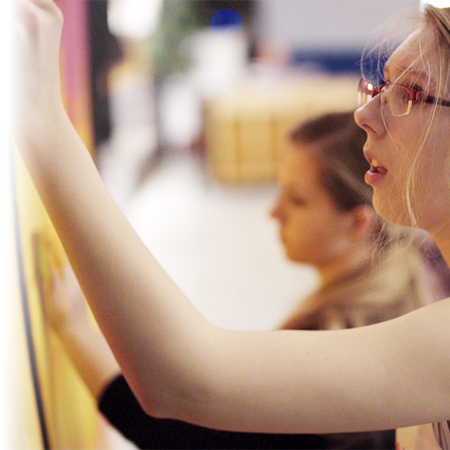 Click here to learn the process for donated appreciated securities to WCA. 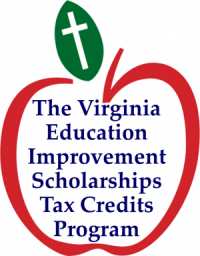 Virginia provides a state tax credit for persons or businesses that make a monetary donation to an approved scholarship foundation that provides scholarships to eligible students for qualified educational expenses incurred in attending eligible nonpublic schools. This credit is substantial and virtually converts owed tax dollars from your business directly into donations to support Christian Education instead. For more info on this phenomenal program, click here. 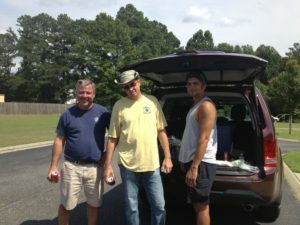 As this giving method allows you to redirect tax expenses you would have paid nonetheless, we graciously ask that gifts given through this program be made in addition to, and not as a replacement for, a standard charitable donation. You may be able to double or even triple your gift to WCA through your company's matching gift program. 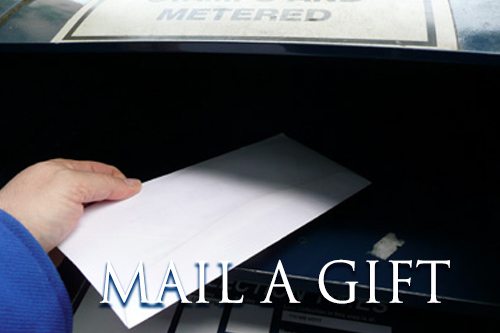 Check with your employer's Human Resources Department and send the matching gift form they provide to the attention of Development at Williamsburg Christian Academy, 101 Schoolhouse Lane, Williamsburg, VA 23188, or email it. 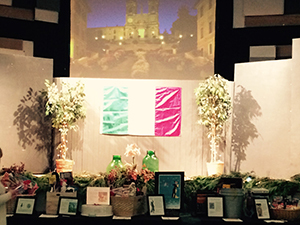 WCA will give you credit for both your gift and your company's matching gift! Does your company offer matching gifts? Just ask! Here is a list (click to open) of major companies that gift match, but many smaller companies not listed offer gift matching as well. A Christ-centered financial plan helps you wisely steward what the Lord has entrusted to you. Biblical generosity produces “the fruit that increases to your credit” (Philippians 4:17 ESV), so you can effectively accomplish what God leads you to do on earth while laying up treasures in heaven. Planned giving enhances current and future income, results in tax savings, and leaves a godly legacy for the people and ministries you love. Any individual can create a legacy gift by naming WCA on the beneficiary form of a savings, checking, or pension account; remembering WCA in a will or living trust; or using a more complex instrument such as a charitable life-income trust. Our development team stands ready to assist you if you wish to incorporate WCA into an estate plan or long term giving plan. Through prayer, wise counsel, and effective planning, you can help insure that Williamsburg Christian Academy continues to instill the gospel in our youth and send Christian Leaders out into a constantly changing and challenging world. Williamsburg Christian Academy is currently enrolled and has fundraising relationships with a number of merchants who will donate to WCA a portion of your purchases in cash or equipment. 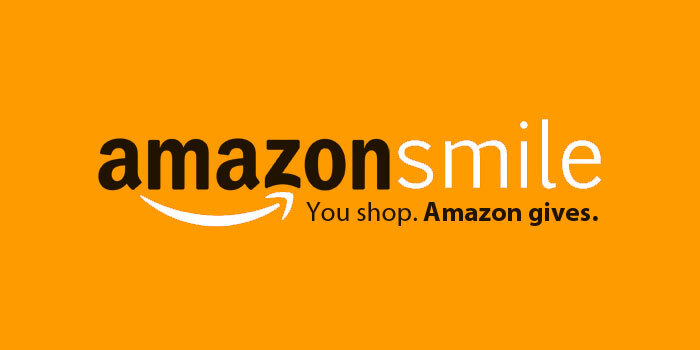 If you frequently shop at Amazon, merely shopping through smile.amazon.com and designating WCA as your elected charity will earn WCA cash back on every purchase you make. Go to smile.amazon.com to learn more. Look for Box Tops on lots of new products! Clip Box Tops from the top of all General Mills, Betty Crocker, Old El Paso, Pillsbury, Green Giant and Yoplait products. Each Box Top is valued at $.10. We collect Box Tops in the receptacle in our lobby. See BTFE.com for more information. 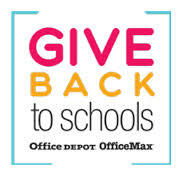 Just request at any Office Depot that you would like your purchase credited for the benefit of WCA (School Code 70105275) and a credit will apply for WCA for future purchases at Office Depot. If you forget the school code, they can look it up. To download a printable card with the school code, click here. WCA receives a portion of all sales of Harris Teeter branded products at Harris Teeter for the school. NOTE: You must link your card to WCA every year in order for WCA to receive the proceeds from your purchases. To link your card to WCA, visit here. There is a login requirement for your card, but if you have forgotten it, you can simply start a new account connected to your card. Our school is strongest when our parents are engaged and actively participate in the multitude of activities that are planned and executed every school year. 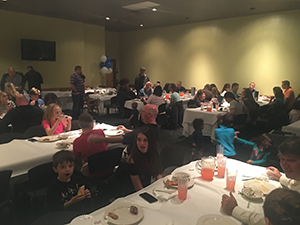 Our Community Association provides all of our parents, and so many more members of our WCA Community, to contribute with the planning and execution of school events and activities, and demonstrate to staff and faculty how much they are appreciated. Regardless of whether you are a parent, teacher, or another member of our WCA community, a contribution of time and skills is many times just as valuable as a cash or stock gift! Our Parent teacher League coordinates dozens of special activities and fundraisers per year in support of WCA, such as family dinners, coordination of our Christmas parade entry, teacher appreciation week activities, and much more! If you have a specific talent or passion that you would like to make available or share with WCA, we would love to integrate your gifts into our ministry!